Livingstone was born in Alexandria in Dunbartonshire and could play at left or right-back. 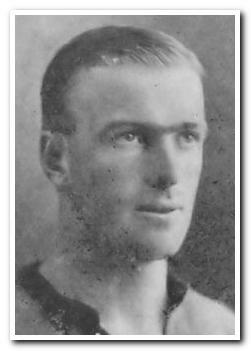 Starting his career with Ashfield Juniors, he impressed enough to make the move to Celtic and went on to make 13 appearances as part of their 1918-19 championship-winning side, making 47 appearances in all, before moving to Everton in 1923. Playing alongside such greats as 'Dixie' Dean, he played in just under a century of League games for Everton before moving to Home Park in February 1926. In an eight-month spell, Livingstone played 22 times for the Pilgrims across the end and start of two seasons. On leaving Home Park he returned to Scotland and played for Aberdeen. After three seasons with the Dons he moved back south to Tranmere Rovers, for whom he played in 87 League games. After Rovers he retired from the game, although records do suggest a brief spell playing in Jersey. Obviously smitten by the South West, Livingstone took up a role as trainer with Exeter City in 1932-33. This was to be the start of several posts in football management after his playing days were over, including over a decade in Sheffield where he worked for both United and Wednesday. He then worked with Sparta Rotterdam before becoming the first 'foreign' manager of what is now the Republic of Ireland. His two-year spell was fairly torrid, working with players chosen for him by selectors, and in a one-month spell in 1952, lost 3 games, shipping 15 goals and scoring none in return. However his last game was a 4-0 win against Austria in March 1953. His next appointment was as manager of Belgium, who he led to the 1954 World Cup Finals in Switzerland. Belgium's opening game was a remarkable 4-4 extra-time draw with England in the St Jakob Stadium, Basle. Although eliminated at the first group stage, he was in charge of Belgium for 13 games in total. After his World Cup adventure, Livingstone was appointed manager of Newcastle United and was at the helm for their 1955 FA Cup Final win at Wembley, in which he had named a starting XI without Milburn but was over-ruled by his directors. Milburn duly scored in a 3-1 win. His training methods were unorthodox and he did not appear to be universally popular. In January 1956 he moved to Fulham where he seemed well liked. However, with his wife unable to settle in the capital, he returned north to take charge of Chesterfield, to mixed reviews, although he did hand a young Gordon Banks his debut. He remained with the Spireites until the 1961-62 season when he retired from football.